REPTIEL's Violent Sagas of the Ancients is a mini-album epic of conflagration, conjuration, and invocation spanning the ages. 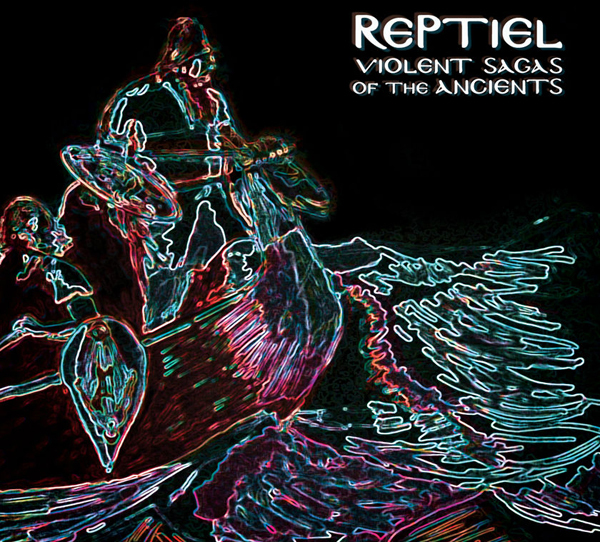 Violent Sagas of the Ancients is REPTIEL's sophomore effort, building on and expanding the Indie Psych Prog Rock of its predecessor, the eponymous REPTIEL, which coincidentally was described by FLABmag as like "sailing across the high seas encountering adventures, but in a Viking’s ship." Violent Sagas of the Ancients was recorded and mixed by Elton Cunniffe at Light Rail Studios in San Francisco, CA, during 2012; was mastered by Thee More Shallows and Fops headman David Kesler at his historic infomercial production suite in San Francisco, CA; and was post-mastered by Jason Gonzales at the SoAr Song Shack in San Francisco, CA.